That scarf is goregous I am hooked on cables now since I made a scarf with cables they always come out some cool. I need to build up my sock list on Ravelry. 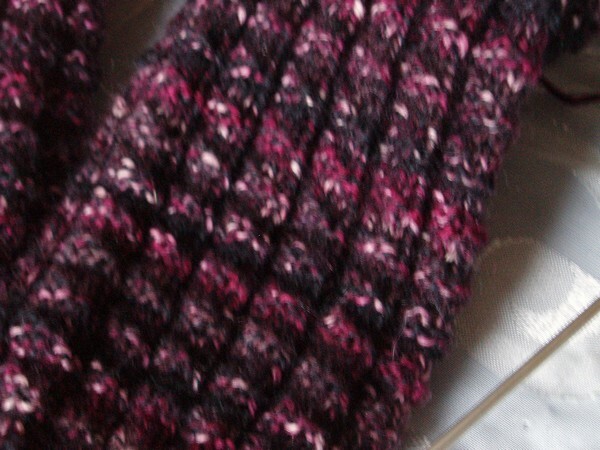 I had really forgotten how many textural scarves are in Scarf Style until you posed the question. I have the same habit of grabbing sock yarn whenever I start a new project (not necessarily a bad thing for me because sock yarn is most of my stash). 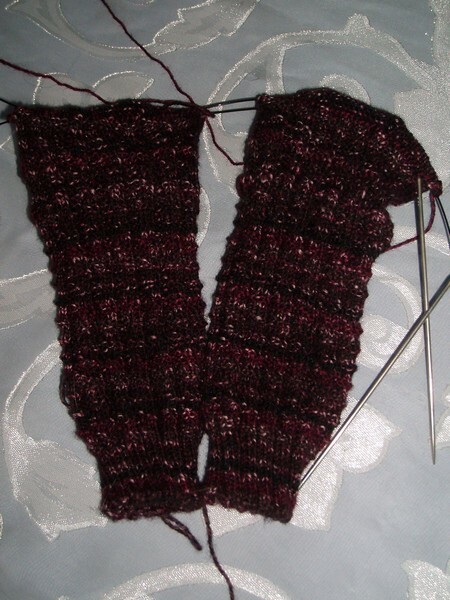 NaKniSweMo helped me break out of that rut earlier this month and I’m longing to cast on for another sweater – just as soon as I finish Christmas knitting!